I will be offering my one-of-a- kind handwoven accessories, framed weavings, mixed media and jewelry crafted from vintage buttons and fine beads--all my original design. Many other artisans from the Long Island Craft Guild will be joining me at this Fine Craft Fair. This is a wonderful venue for unique items your holiday shopping! My small needle-woven tapestry, "Eagle's Nest", pictured below, was inspired by the bald eagles residing near me in Centerport., New York The piece was created using a technique that is easy, versatile and portable. 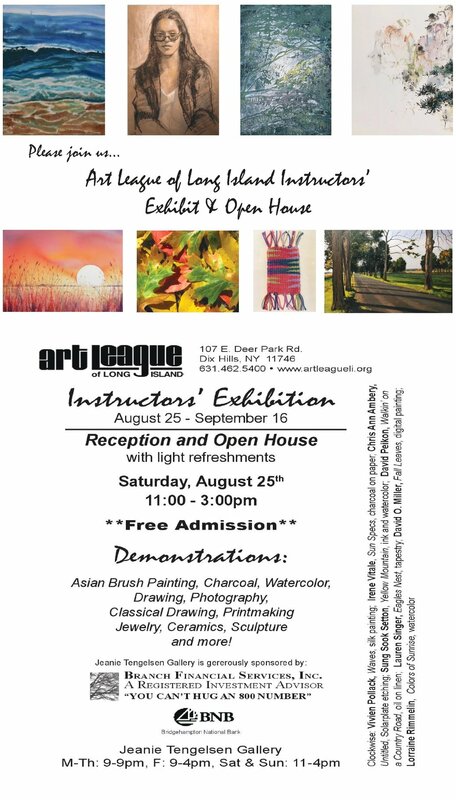 Learn how to compose your own imagery or copy mine in my fiber workshops at the Art League of Long Island. I will be offering for sale framed handwoven and mixed media works for the wall, handwoven scarves, woven/embellished accessories and unique button and beaded jewelry. All work is my design and a labor of love. I will be offering for sale framed handwoven and mixed media works for the wall, handwoven /embellished accessories and unique button and beaded jewelry. All work is my design and a labor of love. My fiber piece, "Call of the Running Tide", about toxic red algae polluting our waters, is include in this instructor’s group exhibit.